Welcome to ‘Della Downs, the home of a small herd of Australian Heritage Angora Goats. 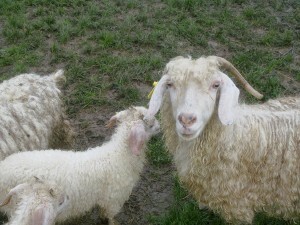 Angora goats grow mohair. Ours produce a fine and very lustrous fleece – great for hand spinning. The longer fleece staples are great for hand made dolls hair. 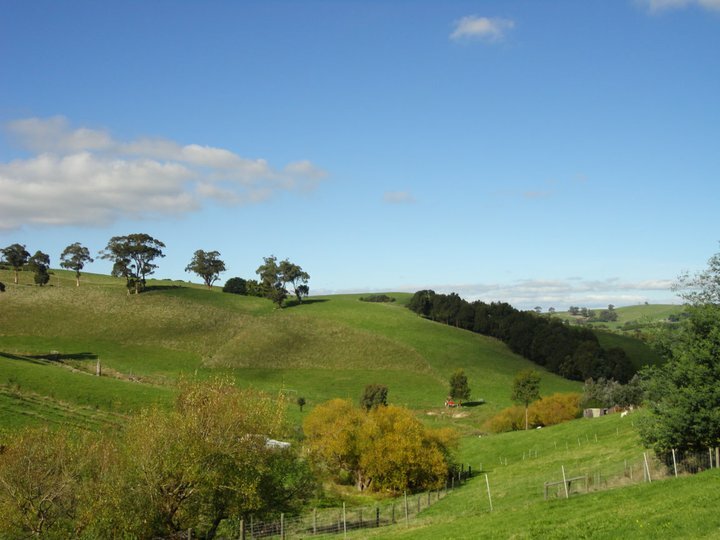 ‘Della Downs is a small property located between Korumburra and Leongatha amongst the rolling green hills of South Gippsland. We started with 5 and now have 70 of these delightful goats. We have recently been lucky enough to get some Brac does to add to our herd. There are now Australian Heritage Angoras on a farm near Toogoolawah in Queensland, 3 have moved to the Seymour region in Victoria, there is a growing herd near Gunning in New South Wales and another in the Onkaparinga Hills in South Australia. Our goats can trace their lineage back to the first Angoras to come to Australia. They are delightful, friendly and easy to manage. In addition to breeding Australian Heritage Angoras and processing their mohair, the property is also home to 3 dairy goats and their kids, 8 alpacas and some 700 fruit trees, including nearly 30 varieties of cider apples. Many of our fruit trees are heritage varieties. Some of the fleece from our angoras and alpacas we sell and some we process ourselves.